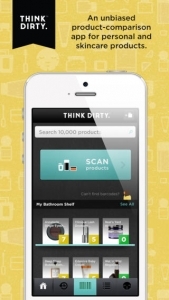 Think Dirty® is committed to helping consumers identify the potential risks associated with the personal care products they use every day. Unlike other ingredient databases, we focus exclusively on the chemical content of the products in question. We have consciously avoided the widely-used practice of “greenwashing”, whereby the environmental or social responsibility of a product’s manufacturer is factored into the assessment allowing a product to receive an artificially low toxicity rating. We are solely concerned about the possible impact of a given product on an individual’s health, and our ratings methodology reflects that singular commitment. Our ratings are determined based on publicly available data released by non-profit and government agencies in North America regarding the health and safety of the individual components found in your personal care products. We assess the overall risk of a given product based on the potential health impacts of its published ingredients. Each ingredient listed on the product label or manufacturer’s website is evaluated for documented evidence of Carcinogenicity, Developmental & Reproductive Toxicity and/or Allergenicity & Immunotoxicity, as show in the table below. Evaluations are performed by Think Dirty’s Founder and Advisory Board, all of whom have extensive experience in relevant fields such as Medicine, Biochemistry, Biology, Physiology, Environmental Toxicology, Environmental Health & Safety and Chemical Engineering, and a track record of working with Health Canada, the US Food & Drug Administration, the European Medicines Agency, Environment Canada, the US Environmental Protection Agency and other related government and not-for-profit agencies.